Unleash your sense of adventure in the realm of beluga whales and dolphins. Discover glacier-carved fjords, wooded capes and enchanting townships. Fuel yourself with gourmet farm-to-table cuisine, apple cider and superb wine. 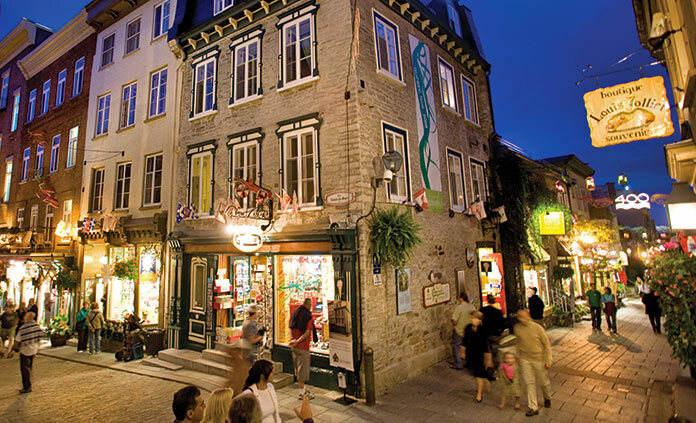 Visit North America's only remaining fortified city, with impressive architecture and cobbled streets. And soak up the vibrant blend of cultures that makes Quebec so unique.